Lord David Thomas Pitt, Baron Pitt of Hampstead studied medicine at University of Edinburgh between 1932 and 1938. After graduating with distinction, he went on to lead an outstanding political and medical career which earned him a spot in the 2002 list of 100 Great Black Britons (Rea, 1995). 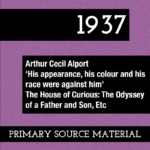 Pitt was a man who dedicated his public life to the practice of medicine and politics, tenaciously fighting against racism and discrimination against minorities from within the system in the UK (Arnold, 2014). And, in the words of Jennette Arnold, “the scale of Lord Pitt’s achievements may surprise those not familiar with his life and work” (Arnold, 2014, p23). 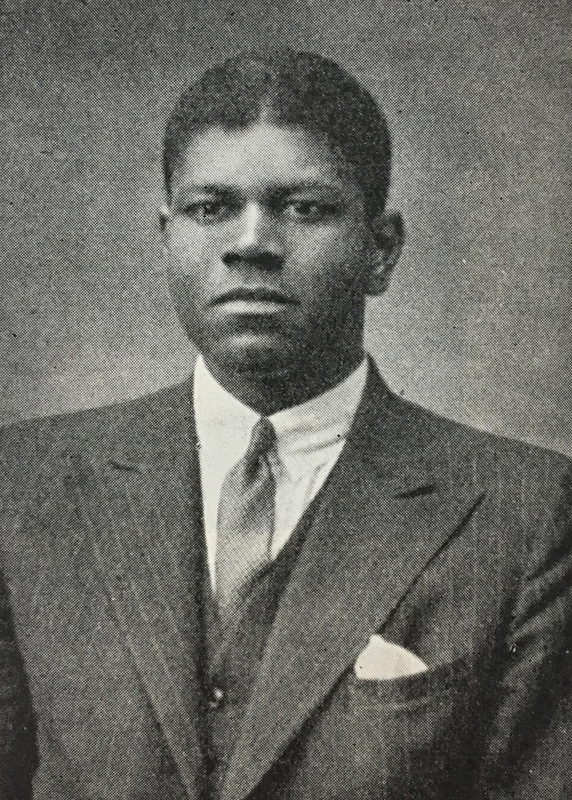 Born in Grenada, Pitt first visited the United Kingdom as a Grenada representative at the World Scout Jamboree held in Northern England in 1929, when he was only 15. After winning a Grenada scholarship in 1932, he returned a student of medicine at the University of Edinburgh (Phillips, 2004). It was in Scotland that he developed his political perspectives. The experience of the Depression years and the similarities he drew between the conditions of the Scottish working classes and the Grenada rural communities profoundly shaped his worldview; these social facts, he later maintained, made him a socialist. Most tellingly, Nicholas Rea summarised his political development as follows: “It was in the slums of Edinburgh as much as in the Caribbean that [Lord David Pitt] became convinced of the links between poverty, disadvantage, and ill health” (Rea, 1995, p54). For Lord Pitt, access to medical support was inseparable from social and political factors – a view he maintained throughout his life. In 1936 David Pitt joined the Labour Party, and as a member of the University of Edinburgh Socialist Society, became First Junior President of the Students’ Representative Council, the co-founding body of what is now Edinburgh University Students’ Association (EUSA) (Arnold, 2014 and The Student 1936-1937). While he participated in Edinburgh University and UK national politics, David Pitt did not lose sight of Caribbean politics and the colonial connection with the country he was now studying in. Along with the vast majority of British Caribbean politicians, he supported the vision of a federation of Caribbean states independent from Britain. This view was supported by two main reasons: on the socio-cultural level, he maintained that the colonial experience had made the history of the Caribbean colonies inseparable from one another; on a more practical and political level, he believed that self-government for each independent colony was unsustainable. For Lord Pitt, a Caribbean Federation was the only viable way forward. In 1938 Pitt graduated MB and ChB (Bachelor of Medicine and Bachelor of Surgery) and moved back to the Caribbean islands. By 1941, he had established himself as a general practitioner in San Fernando, Trinidad, and was ready to serve on the town council until 1947. These were fundamental years for Trinidadian politics, as Trinidad and Tobago were only granted universal adult suffrage by the British Parliament in 1945, after decades of campaigning to which Pitt himself contributed (Arnold, 2014). In 1943 he had co-founded and become the leader of the West Indian National Party (WNIP), a socialist party dedicated to the emergence of political autonomy across the Caribbean – and he still believed “the whole of the Caribbean, not just any one island, [to be] his home and his political responsibility” (Phillips, 2004). At the first public elections in 1946, Pitt ran as a candidate for the United Front, derived from the WNIP, but was unsuccessful. Caribbean politicians and voters, unlike British Caribbean ones, did not uniformly envision a Federation of independent states like David Pitt’s party and many of the region’s trade unionists and intellectuals (Phillips, 2004). Nonetheless, Pitt did not give up on his political activism and “in 1947 led a group of WINP members to Britain to lobby the Clement Attlee Government for Commonwealth status for a Federation of the West Indies” (Arnold, 2014, p7). Finally disillusioned with the trajectory of mainstream Caribbean politics, David Pitt ended up settling in North London, England, in November 1947 with his wife Dorothy Elaine Alleyne, whom he had married in 1943, and their children Bruce, Phyllis and Amanda. After working as medical assistant in Chiswick, London, to a black doctor from Barbados who introduced him to the challenges of practising as a medic of African descent, in 1950 David Pitt opened his own surgery (Arnold, 2004). Through his medical practice he made the political contacts that led him to a renewed involvement with the Labour Party. After a successful speech at the 1957 Labour Party Conference, Pitt became the Parliamentary candidate for the Hampstead seat in the 1959 general election. He was the first person of African descent to stand for such a position, a fact that was met with harsh, racist criticism. Right-wing media outlets accused him of not deserving the candidacy, merely justifiable for The Daily Mirror as an act of “fashionable liberalism” (i.e. political correctness in today’s language) (Arnold, 2014). This was, however, only the tip of the iceberg. The extent of the racist discrimination David Pitt faced as a parliamentary candidate in 1959 reached dramatically higher levels. Over the course of the 1959 election, Oswald Mosley, a 1930s Member of Parliament known for founding and leading the British Union of Fascists, waged an aggressive campaign against Pitt, the first black parliamentary candidate in Britain (Granger, 2007). Mosley was standing for the London constituency of Kensington North and based his campaign on anti-immigration propaganda, calling for the immediate repatriation of Caribbean immigrants. David Pitt and his family became the target of death threats and anti-black marches organised on Hampstead. The violence culminated in the firebombing of 200 Gower Street, which at the time housed the anti-apartheid and Caribbean independence movements, students of Africa House, and David and his wife Dorothy’s surgery (Arnold, 2014). Pitt ended up losing the campaign, but his days in politics were not over. Elected a member for Hackney for the London County Council (LCC) in 1961, he became the first member of a black and minority ethnic group to serve in a local government position. David Pitt was convinced that change should be achieved from within, when appropriate. He believed that different cases required different means, and that a peaceful, diplomatic approach was necessary in the case of UK politics and fighting racist barriers. What would work in the representative democracy of imperial Britain could not work in apartheid South Africa. However, after meeting Martin Luther King in December 1964, he realised that there were more direct ways he could respond to the plight of the wider black and minority ethnic communities in the UK. In January 1965, Pitt co-founded and chaired the Campaign Against Racial Discrimination (CARD), which brought together the work of other groups like the Federation of Pakistani Organisations, the Indian Workers Association and the West Indian Standing committee. “The message was to peacefully agitate for political and social change within the existing institutional structures; to eschew revolutionary idealism and political violence. Such a notion aligned with Pitt’s pre-existing sense of what activism should be – well reasoned, patient, and with one eye on the long term.” (Arnold, 2014, p10). In 1975, Prime Minister Harold Wilson appointed Pitt to the House of Lords which made him “one of the first black parliamentarians” (Arnold, 2014). In accordance with his firm belief in bringing structural change from within the existing political system, Lord David Thomas Pitt, Baron Pitt of Hampstead, stood in Parliament to deliver the passionate politics of anti-racism and anti-classism that he had fought for so consistently throughout his life as a doctor and a political representative. He was known in the House of Lords for his tenacious speeches which challenged the rhetoric of racial and class discrimination all too familiar in Parliament. “Some felt that by accepting a seat in the House of Lords David was becoming an Uncle Tom figure, joining the establishment and deserting his fellow immigrants”, commented Nicholas Rea, a colleague of David Pitt who was both a life peer and a doctor himself. “But in the house he always spoke eloquently and often passionately on behalf of ethnic and other disadvantaged groups. He quickly made friends with peers of all political persuasions, effectively disarming much lurking prejudice. Like Nelson Mandela, he believed that the way to change institutions was to get inside them rather than confront them head on from the outside.” (Arnold, 2014, p11-12). Jannette Arnolds reports one such example of Lord Pitt’s impeccable anti-racist rhetoric in the House of Lords during a debate on immigration in 1976. Lord Pitt spoke in favour of immigration and countered Lord Gridley’s argument that high immigration levels exasperate existing race conflicts. Lord Pitt argued the opposite, taking on the National Front’s position “that their major support lies in areas near to but not in areas of high coloured concentration. The reason for that is that ignorance leads to fear. Thus, when a person fears that his next-door neighbour will in future be coloured he wants immigration stopped. However, you will find that the least hostility to coloured people is found among the whites who live next to, shop with, travel with, work with and play with coloured persons” (Arnold,2014, p12). In short, Lord Pitt argued that it was racism that soured race relations, not immigration. Towards the goal of combatting institutionalised racism, Lord Pitt managed, as chair of CARD first, to lobby the British government to pass the Race Relations Act of 1965, prohibiting discrimination on the grounds race or national origin, and later, as a life peer, to have the 1965 Act integrated into the Race Relations Act of 1976 (Arnold, 2014). Lord Pitt died in 1994. He lived a long life of successful medical and political aspirations, which started growing in his early life in Grenada, developed in his years in Edinburgh and he realised fully in his mature life. After becoming a life peer, Lord Pitt was appointed President of the British Medical Association in 1985, a position he understood to be the pinnacle of his fight for social and political justice: in his presidential address, he delivered yet another compelling speech where he coined the phrase ‘Politics is good medicine’, which succinctly captures his practice of ideals linked to equality in health service access along with the dismantling of discriminatory practices (Arnold, 2014).